The hard drive in [Jason’s] 24″ iMac was on the blink. He decided that instead of just swapping out the bad drive for a traditional unit he would upgrade to a solid state drive. Tearing apart high-end hardware like this can be a bit nerve-racking but luckily the drive is mounted right behind the screen so he didn’t have to take everything apart. The SSD he picked up was 2.5″ but the mounting hardware in the iMac is only setup for 3.5″ form factors. We would have used a bit of hackery to make it work but [Jason] went with an adapter kit. Uh-oh, once installed there was no problem with the mounting but the SATA cable didn’t reach far enough to plug it in. The cable snaked around under the motherboard and would have been a lot of work to swap for a longer one. He ended up removing all of the mounting screws except for one coercing the drive close enough for the connection. It worked for him and it can for you as well. If you do this make sure to devise your own mounting scheme so that you don’t hit the same snag. 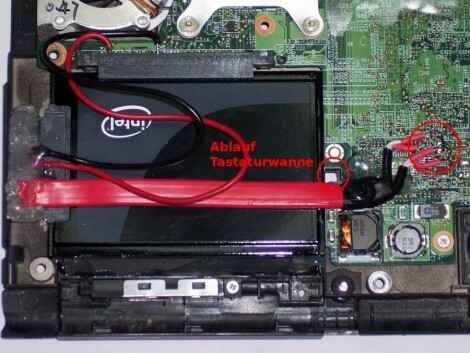 [Andrew] wrote in to show us how he upgraded a broken Zune to solid state. He had one that was giving the Error code 5 when it booted. This means the hard drive is bad. He was able to find a compatible solid state 32Gb drive that, with a little bit of case modification, he made fit. Everything fit back into the Zune and looked completely stock. This was all done for less than $130. He seems pretty proud of getting a 32GB Zune for $150, and we don’t think that’s too big of a deal. We found a bunch of them on eBay for under $100. He even states that he doesn’t see any performance or battery life improvements. So why do we post this? Well, we like to see stuff split open and we actually like the idea of a no-moving-parts mp3 player. We’re hard on our electronics and the thought of that platter getting jarred over and over and over and over really bothers us. Great job [Andrew]. TechRepublic and iFixit partnered to teardown Dell’s flagship notebook, the Adamo. The Adamo is positioned to compete directly with Apple’s MacBook Air. 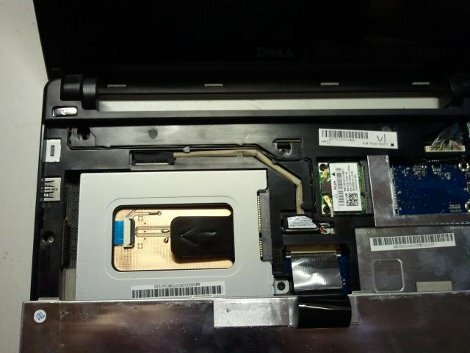 The Dell crams a lot of technology into a very thin frame and they use a clever locking system for the backplate to hide any screws. The built in battery has a longer life than the Air and an SSD comes stock. The team points out that the Windows logo is etched on the backside instead of the standard ugly stickers; apparently this took quite a bit of teeth-pulling to get approved. Check out the full photo gallery which includes the fetish packaging and comparison shots to the Air and Dell Mini 9.